The name of a British Columbia woman who disappeared in Las Vegas nearly 3 years ago has been forwarded to investigators in New Mexico, as they investigate the discovery of 13 bodies in what some are describing as a mass grave. "I still need to know." says Glendene Grant - the Kamloops mother of Jessica Foster, who's disappearance in April 2006 is considered by some U.S. authorities to be a case of human trafficking. "I don't believe that Jessie is dead but I'm still...I'm not close-minded and there is a chance. If she is I want to find her just as desperately. So even though all this stuff is rather grim, I still need to know." Grant says her daughter's file has been handed to officials in Albuquerque as they try to identify bones discovered by a work crew. "That's not very far away from Las Vegas and I just found out today that they found two other bodies in an area about 15 miles away. They haven't decided if it's something that is connected to the case or not but they just find it awful close." "They've got Jessie's information now and Fox News is talking about a potential trucker serial killer." Investigators believe most of the victims are female and worked as prostitutes - two of them disappeared in 2004. It is also believed they were killed by one person. ALBUQUERQUE (KRQE) - A mother from Canada emailed Albuquerque police last month to let them know her daughter, Jessica Foster, has been missing, and she thinks she may buried be in the West Mesa. Since the first set of remains was found on the mesa, Glendene Grant has digested every news article about New Mexico's bones. When the count reached six, she became concerned. When detectives said Jane Doe number eight disappeared in 2006—the Canadian mom hopped online and brought cries from Canada to Albuquerque. "I just googled it, Albuquerque, New Mexico, I pulled up the police department I emailed the sheriff. The one I saw on TV," Grant said. She told detectives about her daughter, Jessica. "I told them that I had read a report that one of the women that they had found had been reported missing in 2006, and my daughter had also been reported missing in 2006," Grant said. However, an Albuquerque detective emailed her that it wasn't her daughter. Dental records identified the woman as Michelle Valdez, 24, an Albuquerque native. So far the remains of 13 people have been found, and two sets are confirmed to have come from women with a history of prostitution. It was a lifestyle similar to that of Grant's daughter before she disappeared. Jessica Foster was last seen in Las Vegas, Nev., living with her pimp boyfriend. "Just because that one person is not Jessie that doesn't mean that some of the other ones aren't her," Grant said. So far only two have been positively identified. Grant said she will not stop calling until there is no chance her daughter is buried in the New Mexico desert. 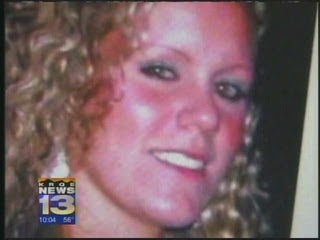 "Until they have every single solitary piece of remains identified and every DNA match Identified to somebody Jessie's face is still going to be hovering around Albuquerque," Grant said.